The conference features nearly 110 posters, 50 oral presentations and 15 creative works representing a wide variety of academic majors and programs, with additional students participating in invitational displays featuring design, fine arts and music. Dr. Mahmoud Al-Odeh, associate professor of technology, art and design and conference director, said the event has a significant impact on campus as it maintains high-quality education at BSU, community involvement, minority participation and a supportive student environment. The conference begins at 8:30 a.m. with registration and breakfast in the Beaux Arts Ballroom of BSU’s upper Hobson Memorial Union. At 9 a.m. Bemidji State University President Faith Hensrud will provide a welcome address followed by the 2019 keynote speaker Dr. Ed Galindo, faculty member at the University of Idaho and associate director for education and diversity for the NASA Idaho Space Grant Consortium. Galindo is also an affiliate faculty member in Idaho State University’s biology department and Utah State University’s physics department. Additionally, the opening ceremony will include a new, 15-minute student keynote presentation by Savannah (Anna) Corradi, Bemidji native and 2019 recipient of the Bemidji State University Award of Excellence in Academic Achievement. Corradi began working with Dr. Mark Wallert, professor of biology, when she was a junior in high school after he presented to students in her class. She is now a BSU sophomore studying chemistry and researching cancer treatment. Corradi will receive a $100 award and a certificate signed by President Hensrud in recognition of her achievement. All students involved in academic projects, research, creative works or community service activities related to their degree were encouraged to apply. After opening ceremonies, oral presentations will be held during three sessions in Hagg-Sauer Hall beginning at 10:30 a.m. Poster presentations will begin at 1 p.m. in the Lower Hobson Memorial Union. More than 50 students will be giving oral presentations on subjects including solar powered food dehydration, for-profit prisons, sonata theory in Schubert, BSU centennial clock making, native flute construction, amphipod colonization and density and how to use sustainable technologies to address local food security. Poster presentations by 110 students include topics such as factors contributing to youth homelessness, brown bear harvest rates in Alaska, a spatial analysis of bumblebee populations, adolescent substance abuse, an assessment of the future impact of artificial intelligence, cultural appropriation and the history of Native American mascots and the effects of rainbow trout on brook trout populations. In addition, the American Indian Resource Center will hold a fry bread taco sale between 11:45 a.m.–12:55 p.m and the second annual elevator speech contest will begin at 2 p.m. in Bridgeman Hall where nine contestants will compete for cash prizes. 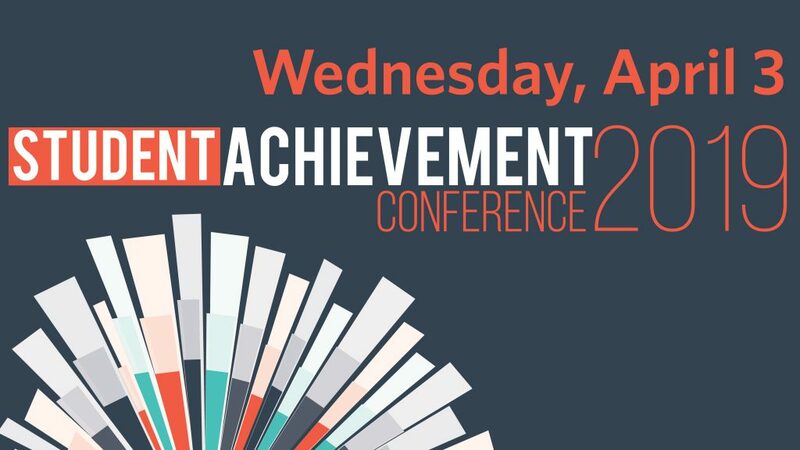 All activities of the Student Achievement Conference are free and open to the public. 8:30 a.m. — Registration and breakfast, Beaux Arts Ballroom. 9 a.m. — Keynote address: Dr. Ed Galindo, Beaux Arts Ballroom. 10:30-10:50 a.m. — Student oral presentations, session 1, Hagg-Sauer Hall. 10:55-11:15 a.m. — Student oral presentations, session 2, Hagg-Sauer Hall. 11:20-11:40 a.m. — Student oral presentations, session 3, Hagg-Sauer Hall. 11:45 a.m.–12:55 p.m. — Fry bread taco sale, American Indian Resource Center. 1–3 p.m— Poster presentations and design, fine arts and music invitational displays, Lower Hobson Memorial Union. 2–3 p.m. — Elevator speech contest, Bridgeman Hall. Dr. Ed Galindo is a faculty member at the University of Idaho and associate director for education and diversity for the NASA Idaho Space Grant Consortium. He is also an affiliate faculty member in Idaho State University’s biology department and Utah State University’s physics department. Galindo, a member of the indigenous Yaqui Tribe, was twice elected National Indian Teacher of the Year awarded by the National Indian School Board Association while serving as chairman of the science department on the Shoshone-Bannock Indian Reservation. He was also recently inducted as a lifetime member (Sequoyah Fellow) of the American Indian Science and Engineering Society (AISES) for research and educational outreach in the American Indian communities.